In November, we reported that Magic Hat founder Alan Newman had signed on with Boston Beer (the makers of Sam Adams) and was given a clean sheet of paper to help expand that company’s craft beer offerings. 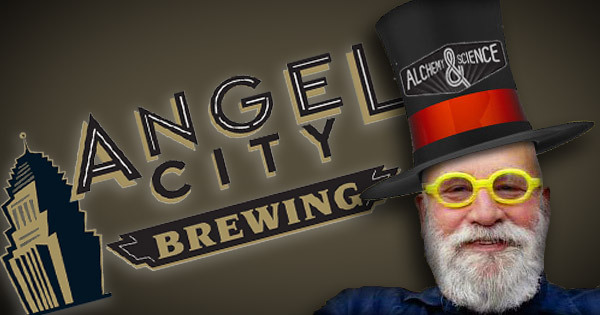 Newman’s subsidiary has been dubbed “Alchemy and Science” (Alan clearly loves magic) and has just made it’s first big move, acquiring Los Angeles, California’s Angel City Brewing for an undisclosed sum. I’ve never had any of Angel City’s offerings, but some of our readers swear by what former owner and brew master Michael Bowe has been cooking up out there in La La Land. When Bowe relocated his brewery to L.A.’s Art District in late 2010 he said, “My vision for Angel City Brewing is about being located in Downtown Los Angeles. I think this great city deserves a great brewery and we hope to become that.” The financial backing of Alchemy & Science/Boston Beer will allow Bowe to see his vision for the brewery come to life at an accelerated pace, creating a space that will boast 27,000 square feet and include guest parking. That’s pretty good for a guy who started his professional brewing career with an 8,000 barrel brewery he bought on eBay. Anyone who has ever started a business knows that the road to growth is neither smooth nor straight. I followed my dream in starting Angel City, and I furthered that dream in moving the brewery to the L.A. Arts District. But, I realized that what I love is brewing beer, not running a business, so I’m off to chase another dream. That sounds a lot like a guy who has one foot out the door. Bowe is a homebrewing legend in Los Angeles (He was named L.A. Homebrewer of the Year in 1995 and 1996), but being good at making beer doesn’t automatically make you good at owning and running a successful business. We wish him lots of luck with whatever comes next, and we hope that this acquisition turns out to be a good thing for beer geeks in Los Angeles. And for all of you brewers out there who are being courted by the likes of MillerCoors’ Tenth and Blake, be sure to give Mr. Newman a call before you sign on the dotted line – it looks like there are ways to get a cash infusion without getting in bed with Big Beer. If you ever read the food blog with a heavy dose of craft beer called Hot Knives, you would know that LA has a thriving craft beer scene. They just don’t brew any themselves. The beer comes in all directions to the city of angels. The LA beer scene is a sleeping giant that just needs to be awakened. Slowly, people are waking up to the good stuff.